Forza Motorsport Forums > Forza Motorsport 7 > Forza Motorsport 7 Discussion > New FFB system Dec 4th.. tell us what you think!! New FFB system Dec 4th.. tell us what you think!! Ok, so I've learn't a few things in re-tuning the wheel after the latest update. First up, DOR/WRA makes a huuuge difference. So do steering deadzones. I'm now at default 0 and 100 after spending most of my racing time at 0-80. End result is a smoother more linear feel and performance. I'm now at 900 DOR/WRA on both the Control Panel and in game for the TX wheel >>>it makes most sense to think of WRA/DOR as 'Steering Sensitivity'. At 900 it was very precise but in the end too precise on higher powered cars - many visits to the kittly litter from a slight quick steering adjustment - so takling the edge off by lowering this a little makes a lot of sense<<< 720 feels easier still but at 900 you are getting more realism for sure. It took a little adjusting to but the end result is incredibly smooth and realistic feel. The wheel felt quite dead, unresponsive and uncommunicative to me after the Feb update. I've put in some laps in testing and some under race conditions, across a range of vehicles, and this is what I've come up with. I believe that the feeling achieved after the update is much smoother overall and yet sharper responsiveness wise, as well as there being some nice communication of road surface feel. I still have not quite recaptured the tyre scrubbing on the limit of past configurations, but I will keep working on it. It's still there, but it's more of a faint sliding sensation and slight twitch of the wheel than before. PTS is at 140-145 as I'm still a little torn here. 145 feels more realistic but it is not going to be quite as smooth, with it easier to lose traction in a tight, quick bend than at 140. I do agree as has been said on here a few times that the update makes it easier to catch the tail - well, at least you have a chance now anyway, rather than suddenly seeing a tyre wall. Hopefully you will enjoy, and tweak to your own requirements. Best tested using the 2005 BMW M3 at S724 using either my tune or FACR Slarty's at Suzuka. Happy racing! Thanks for posting this, I will try it out tomorrow and compare it with what I came up with. A bit different but I was looking for a 720 DOR...will see how much different it feels in both 900 and 720 and Also compare it to my current 720 I will let you know what I think.....again Thanks for posting. Thanks DTD. It’s still a work in progress. I may have to dial FFS back a bit. We will see. I just ran it with 720 and I might actually prefer it. Not quite as smooth but easier to control and aim. Thanks for the prompt! I have to agree that after the update going back to 900 and 0-100 feels much smoother on the CSW V2.5. Going to play around with a few other settings and see what effect it has. Ok, so I've learn't a few things in re-tuning the wheel after the latest update. First up, DOR/WRA makes a huuuge difference. So do steering deadzones. I'm now at default 0 and 100 after spending most of my racing time at 0-80. End result is a smoother more linear feel and performance. I'm now at 900 DOR/WRA on both the Control Panel and in game for the TX wheel. 720 feels easier still but at 900 you are getting more realism for sure. It took a little adjusting to but the end result is incredibly smooth and realistic feel. The wheel felt quite dead, unresponsive and uncommunicative to me after the Feb update. I've put in some laps in testing and some under race conditions, across a range of vehicles, and this is what I've come up with. I believe that the feeling achieved after the update is much smoother overall and yet sharper responsiveness wise, as well as there being some nice communication of road surface feel. I still have not quite recaptured the tyre scrubbing on the limit of past configurations, but I will keep working on it. It's still there, but it's more of a faint sliding sensation and slight twitch of the wheel than before. PTS is at 140-145 as I'm still a little torn here. 145 feels more realistic but it is not going to be quite as smooth, with it easier to lose traction in a tight, quick bend than at 140. I do agree as has been said on here a few times that the update makes it easier to catch the tail - well, at least you have a chance now anyway, rather than suddenly seeing a tyre wall. I’ve been using 840 with your old settings I’ll give these a try today thanks for posting them. Did the FM7 update today and revisited the BMW M8 GTE. I’ll have to say it felt a bit more responsive to steering inputs. I was able to adjust the center spring up a bit also without any oscillation. Finally just lowered the Mech Trail a bit so the ABS wasn’t so abrupt, and I was totally pleased with it. G920 at 900 DOR. Completely transforms FM7 as a game worth playing. Once the "Save by car class" becomes a reality, it will actually be very practical. Damper is far less important now after the update which is a good thing. Even with very high FFB, the wheel will oscillate but not to the point where the car goes out of control. Previously a bit of damper was needed to prevent this from happening. Damper is still useful, especially when traveling under 13 KMH but it's not so much required now. I don't however like how ABS feels with the new FFB which is a shame. I don't usually use ABS but when I turned it on for testing, the wheel jerks & shakes very harsh when braking. It's a real shame because I think the FFB really lends itself to having extremely high Mechanical Trail & Aligning Torque, but having both these settings high is a real detriment when using ABS so it's almost like a double edge sword. Thankfully for me I don't use ABS so it's not so much a problem but if someone does, they'll have to sacrifice the Mechanical Trail a slight bit. I'm going to do a bit more testing before giving my settings, but I'm getting there at a reasonable pace. What we have so far, which is quite a departure from previous Settings. I really hope it feels as good as mine or at least gives someone a good base to start with. Please if someone has a Fanatec wheel on Xbox please try these out including the wheel settings and post any thoughts....non Fanatec wheels too but just the in game settings. I've been having some more fun with the latest FFB and the 2019 GT3 RS wheel feel on the TX458 wheel is just superb, it really does feel like the real car. Just as in the real GT3 RS there is a slight indication of understeer before the car oversteers, the move into oversteer is progressive and can be caught relatively easily as long as the car isn't way over the limit. The feel is so good I could drive laps at the Nordschleife all day and I didn't think I'd ever be writing that about Forza 7 on the wheel. For fun I wanted to see how closely the Forza GT3 RS could match the real world Nordschleife 6:56 record lap. Ultimately the real car has slightly more grip and higher apex speeds than the Forza car, the Forza GT3 RS in turn has slightly higher top speed on the main straight which makes up the difference. For around 90% of the lap they are as good as identical. Truly impressive and once you find settings that feel dialled in for you the level of trust in the cars increases and lap times get faster. All my 'ring lap times are faster with the latest FFB and the cars are noticeably more stable under braking on the wheel too. I've run this scenario in other similar games too and they are all now remarkably similar, again I didn't think Forza wheel feedback would be as close to the other leading games as it now is. That is great with the LB times and places going Dan. I'll be back in the Fanatec fold from late April onwards too. I agree, I'm always happy to share my settings and help others but once another person is holding the wheel it all becomes so subjective. 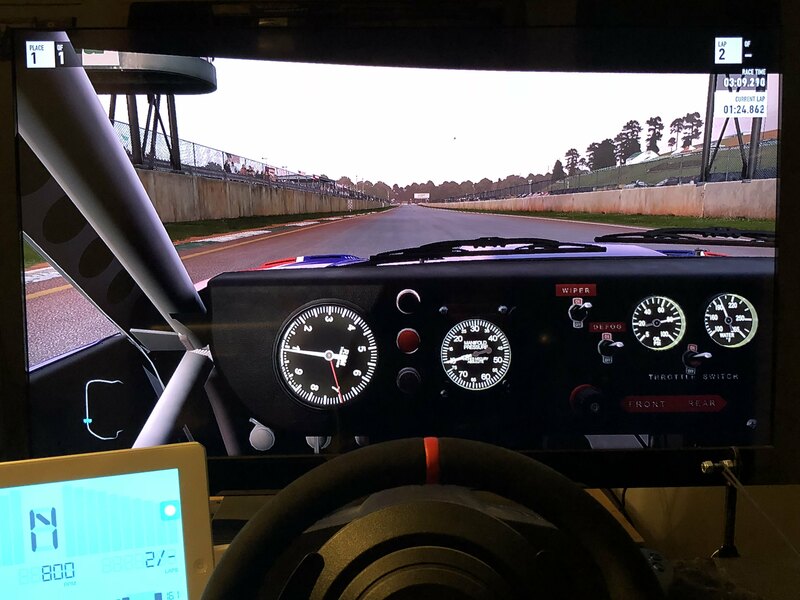 Trying a few of the shared settings here as a baseline and then spending time with a well known car and track combination to dial in the wheel to person preference is about the best thing people can do now. As a group of wheel using friends we had a huge amount of fun in a Nordscheife 'Meet Up', basically an online track day, this afternoon running around in B, A and S class for a few laps at a time. The verdict was the we haven't enjoyed Forza this much for years! Oh if anyone has any settings for the Logitech G920 wheel please post them up, we have a couple of our group using them and I haven't seen any settings for the latest update. Just a little trivia, I actually make realistic tunes for cars using real world data in Forza 7 & one of those is the GT3 RS. I went so far as to find the actual real life spring rates of the car & plugged them into the game. If you ever want to try the time just hmu on here. Funny thing though when doing research there's a few peculiar things. No. 1 the rear wing on the GT3 RS isn't adjustable like it is IRL & No. 2 the GT3 RS actually produces more downforce that the GT2 RS irl... it's some crazy car. Anyways the top speed in Forza is actually petty accurate to irl. It's just that irl, they added a lot more downforce to the car for the ring time. Thanks Evan, that makes a lot of sense with the downforce. There was just no way I could seem to match those apex speeds in some corners. We were discussing this earlier today and thought it might have been a special set of tyres. A little like the tyres run on the Civic Type R for it's 'ring lap that were just labelled Bridgestone and had no other branding along with the roll cage that didn't add any rigidity...according to Honda! These 'ring records are as much a PR stunt as anything so I'm not surprised the car was specifically set up for the attempt. Good fun all the same and close enough for me, especially with the improved FFB. I've been having some more fun with the latest FFB and the 2019 GT3 RS wheel feel on the TX458 wheel is just superb, it really does feel like the real car. Just as in the real GT3 RS there is a slight indication of understeer before the car oversteers, the move into oversteer is progressive and can be caught relatively easily as long as the car isn't way over the limit. Thanks I'll give that a go, along with adding some rear downforce via the Forza rear spoiler. Thanks again Dan for this update to your settings. As you know I use the Fanatec P1 wheel on the V2.5 base with XboxOne. I think these settings are about as good as I have found for my system but they still don't cut it. People say that Forza 6's FFB was poor. For arguments sake lets give that FFB a score of 10 out of 10. For my setup with these settings, I'd score the Forza 7 FFB a 2, just a notch better than no FFB at all. 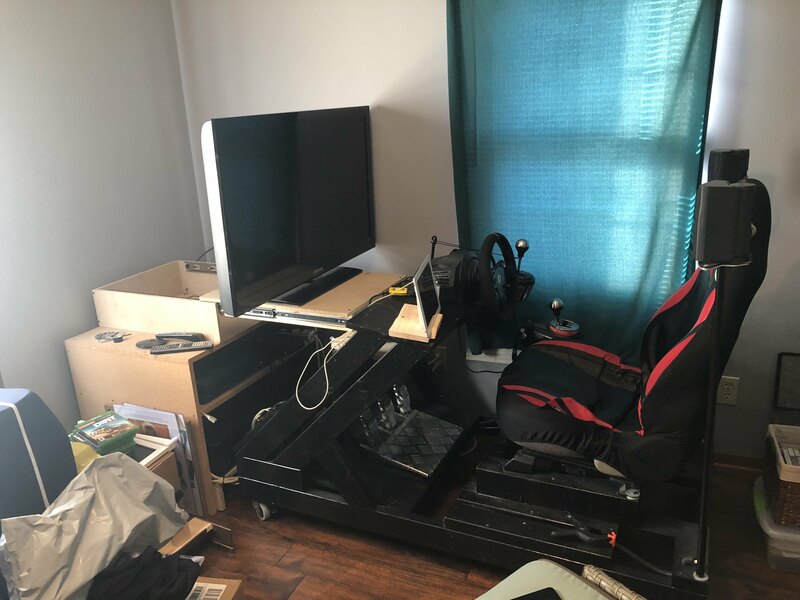 That's because the feel of the wheel trying to kick left and right on straights and absolutely no feel for the road in turns has me back to Forza 6 until Turn Ten get's this worked out for Fanatec equipment. The motor fade thing (Thrustmaster TX) has got to be car related. Just lapped the Nordschleife for 35 minutes straight with the 2015 Formula Mazda and it remained strong all the way though, I only stopped because I crashed while improving. Still on Mechanical's previous setup, best lap in the 7.20s, stock car, no tweaks. Very fun! Hey ..... first thanks @ all for the settings and suggestions on this thread :-) . My Question for FM7 is, Is it possible to reduce the FFB deadzone of my wheel in game ? or do I have to do that at all?? Maybe someone has a nice base setup for the CSR in FM7 on PC !? Good to hear mate. I probably jumped the gun trying to get settings out after the last update. I'm in the process of dialling back FFB scale and Damper, and I'm getting better results. It's still a work in progress so I'll hold off on any updates until I've fully resolved this in racing and HLC conditions. nice answer ... as so often .... thank you very much . I posted this is about a dozen hours ago in the Technical Issues area, but will re-post in this thread, as I think that a lot more relevant sets of eyeballs will see it here. 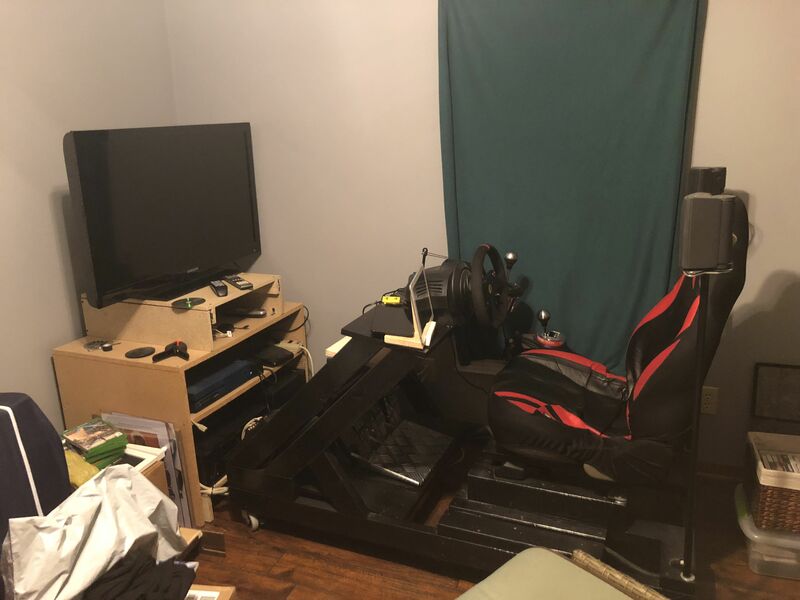 My son moved out on the weekend, so I took the opportunity to take his former room and set up my DXRacer wheel stand (and my trusty old Logitech G27) with my second gaming PC on it. However when I tried Forza on it, with the same wheel and settings I use on my main computer, it's like arm wrestling Randy Savage: the FFB is far too strong. I am using the same settings across each computer, and uninstalled and then re-installed the Logitech gaming software/drivers just to make sure that wasn't the issue. I don't see why the FFB, which has been outstanding since the December update, is so strong and terrible on the second computer.